Trauma therapy is a type of psychotherapy that focuses on helping people work through traumatic events. Childhood trauma can create a paradoxical set of beliefs in survivors. For example, when a father abuses a daughter, the girl is faced with the conflicting facts that the person she depends on for safety and care has betrayed her. While the original trauma may be devastating at the time, the after-effects can be just as chronically harmful. The consequences of early trauma may carry on through childhood to old age – or suddenly appear after many years of an apparently untroubled life. Adult trauma – such as violence, an accident or a natural disaster – can result in disturbing questions about trust, survivor’s guilt, and feelings of endless powerlessness, hopelessness, anxiety, rage and self-blame. Many trauma survivors relive the experience over and over through distressing flashbacks, nightmares, and body sensations that make it impossible to recover or make sense of what happened. ‘These are some of the things that can be attended to and relieved through therapy,’ Stern says. Both the survivor and the therapist need to understand how the past may be manifesting itself in the present. The client may engage in present abusive situations that mirror original childhood trauma. Much of the work of trauma therapy is about understanding and reworking relationships, she says. They may be unable to protect themselves, or apply creativity to solving everyday problems. Without these abilities, they are more vulnerable to other people, as well as being overwhelmed by the personal and professional challenges that most people encounter in life. Art therapy acknowledges how difficult it can be for trauma survivors to put certain feelings, thoughts and memories into words. ‘Art therapy recognizes that not everything that needs to be said can be spoken,’ Stern says. Sensorimotor psychotherapy focuses on awareness of the body and its sensations. TTP’s Trauma and the Body group is designed to help reconnect body and mind. ‘Often trauma survivors are numb – afraid of emotions, and cut off from their physical self,’ Stern explains. Because all feelings have some basis in physical or physiological processes in the body, sensorimotor psychotherapy aims to help people become more aware of their feelings. The psychoeducational ingredient, present in all TTP treatment, ‘helps people feel less crazy, it lets them know they’re not alone in experiencing post-traumatic crazy-making feelings, thoughts, and beliefs. It’s natural to feel like a monster when you’ve been treated like you’re less than human,’ Stern adds. WRAP is a very successful innovation in a stage I trauma treatment for women. The program offers eight weeks of intensive, multi-modal experience of therapy for up to 10 group members at a time, incorporating sensorimotor, art, and psychoeducational therapies, among others, to reach and address the many needs in a woman’s first steps in trauma therapy – all built into a solid feminist and relational approach to understanding and healing from trauma. The Transforming Trauma Group is a stage II trauma therapy group that offers women the chance to talk about their traumatic experiences and hear others’ stories while remaining present and engaged with themselves and one another. Revisiting these painful moments while being seen and heard by the group helps transform childhood experiences into memories that are being recalled by the adult survivor rather than only by the frightened child. While WRAP works to foster a better grasp of the here-and-now, Transforming Trauma invites women to explore details of their traumatic past as well as their present experience. 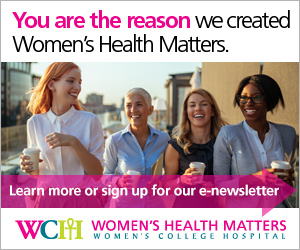 The Trauma Therapy Program at Women’s College Hospital treats people who have survived interpersonal trauma, including sexual, physical or emotional violence, and neglect. Because of the nature of trauma and the variety of therapeutic interventions offered, the Trauma Therapy Program team includes mental health professionals and students from a range of backgrounds, including psychiatry, psychology, art therapy, social work, occupational therapy and nursing. TTP was developed in 2005, after the success of WRAP (started in 1998 by Stern and others) loudly signalled the need for more services.